Scientists have discovered that parrots can catch the giggles, and even high-five each other in the air when they hear other birds “laughing”. When researchers at the University of Veterinary Medicine in Vienna played parrots a recording of other birds playing, those listening started playing too. The scientists called this behaviour emotionally contagious with both adult and baby wild keas getting involved as soon as they heard the calls, specific to playing parrots. 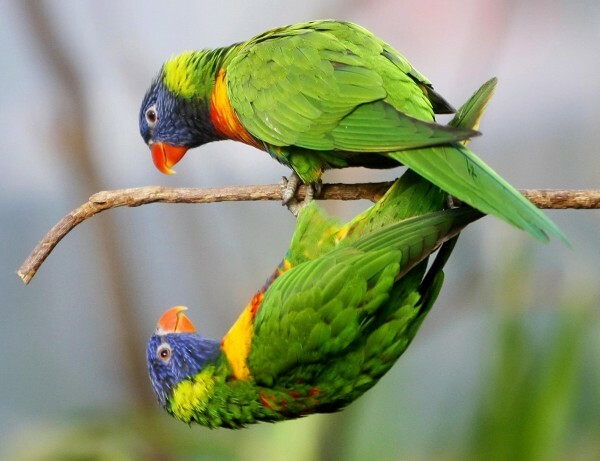 On hearing the playing noises, parrots started zooming around doing aerial acrobatics, passing objects to each other and exchanging high five-like interactions with their feet. They didn’t play nearly as much when they heard other types of kea sounds or those from other species. Raoul Schwing, who led the research, says the parrot’s behaviour is comparable to that of infectious laughter in humans. Next article Do You Know The Capitals Of These 26 European Countries?